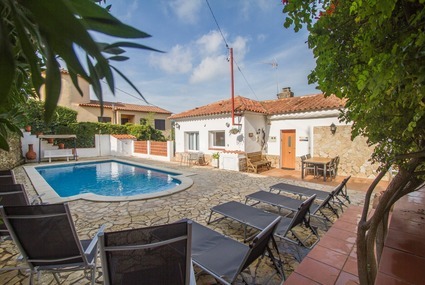 Villas Spain from Club Villamar.....How about a holiday where you can enjoy the comfort of your own home and also experience plenty of sun, sea and beach? 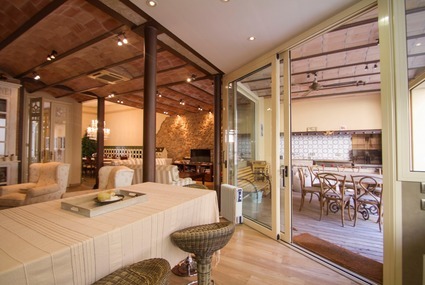 The perfect solution is easy: rent one of our luxury Villas in Spain! Spain offers so many possibilities and in all its popular regions Club Villamar offers a carefully selected variety of Spanish Villas: Costa Brava, Costa Blanca, Costa Maresme, Costa Dorada, Ibiza and Mallorca (Majorca) are among the most beautiful destinations for your Villa Spain. 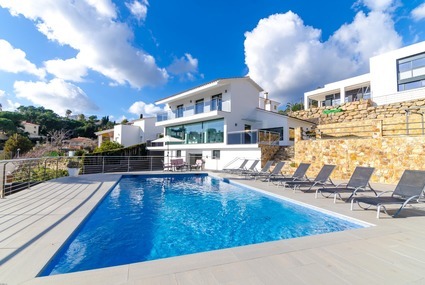 We have suitable holiday villas for everyone, whether you prefer to enjoy the Costa Brava in a luxurious holiday villa with a private pool or if you're looking for a holiday home at the Costa Blanca. At Club Villamar your holiday starts already by having a look at our wide range of holiday homes. Spain will eventually be the holiday you dreamt of coming true. 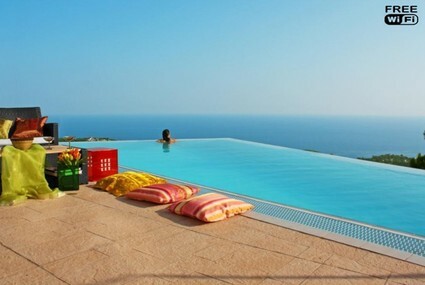 To get in a warm and sunny holiday mood we advise you to start browsing our wide range of villas. Spain is a versatile country and so are our holiday houses. At every destination for a sunny holiday we offer you a suitable holiday villa: Costa Brava, Costa Blanca, Costa Maresme, Costa Dorada, Ibiza or Majorca, we have holiday homes everywhere. Did you find your ideal holiday rental? Booking your villa is very safe and easy, just as paying is by our options through PayPal and credit card or by banktransfer. So don't waste another minute and start exploring all of our villas, Spain is waiting for you! Why rent a villa in Spain? Celebrating your holiday in a big Spanish holiday villa with a private pool and a Mediterranean Sea view is much more advantageous than you might think. For instance, did you ever consider sharing your holiday home with friends or family? Not only pleasant because of the company, but also a very affordable option. 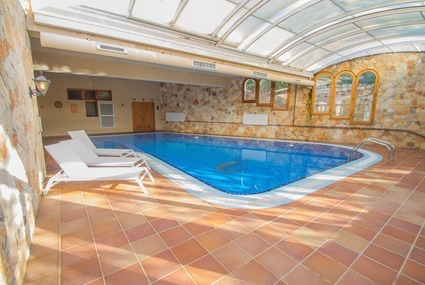 Many of our holiday homes provide the luxury of a private pool. Because of the comfortable utilities you decide for yourself how much money you want to spend on your holiday. Why not skip an evening at the restaurant and enjoy a nice barbecue in the garden of your holiday home? Spain is affordable for everyone, so choose your ideal holiday home from our wide range. Are you thinking about a fast and easy holiday by air? Spain has several airports that are easily reached by multiple airlines at favorable rates. Once in Spain all our destinations are perfectly reachable by car, so you might want to consider renting a car at one of the car rental companies you will find at the airport. Having a car at your disposal is great opportunity to discover everything the Costa Brava, Costa Blanca, Ibiza and Majorca have to offer. Wherever you wish to go, Club Villamar certainly has your desired holiday home. Have a look at our wide range and pick your holiday villa today! Enjoy finding your perfect villa under the Spanish sun! Enjoy finding your villa in Spain!